distinct vignetting on full frame detector. 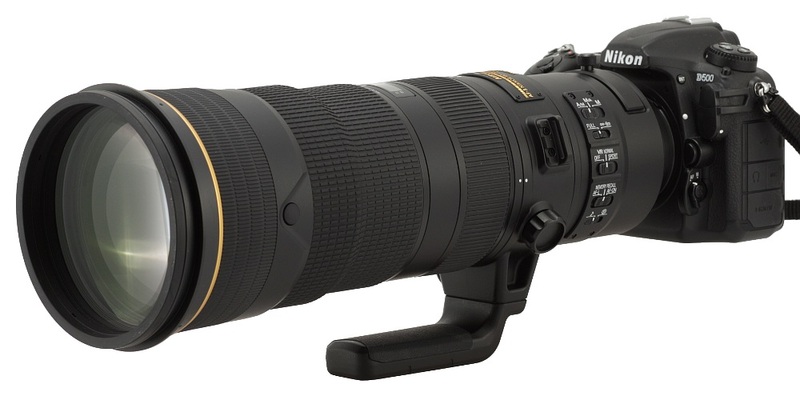 If a 180-400 mm model without the built-in teleconverter was the successor of both Nikkors 200-400 mm we would be delighted with its performance and our summary would be full of oohs and aahs. As it is, the results the tested lens at 550 mm which was created by adding a dedicated, integral teleconverter to the system, leave a lot to be desired. It used to be a norm, such image quality decrease after joining a lens with a teleconverter. After launching 1.4x and 2.0x devices of the newest generation which are complex optical systems of their own, with 5-7 elements inside, that cooperation improved a lot. I admit my expectations were rather high when it came to the tested Nikkor. As you deal here with a teleconverter with as many as eight elements which, additionally, could be optimized to cooperate smoothly with just one optical system (or, in fact, a ‘prime’ because in over 90% of cases the teleconverter will be switched on with the proper focal length set at 400 mm and at that place their cooperation should have been as perfect as possible) I expected just a minimal decrease of quality. Instead I got a distinct drop of quality, in some cases exceeding even 10 lpmm. It is most definitely not an effect you would expect from a lens costing over $12000. That weaker performance can be noticed not only in photos of our testing charts or measurements but also in our sample shots. With the lens and the D3x set, where you deal with a full frame 24 Mpix sensor, the photos taken at 550 mm and examined in the 1:1 scale might seem to be still of good quality but if you shot them with a much more densely packed sensor of the Nikon D500 you can feel unsatisfied. To be honest when I took the tested lens attached to the Nikon D500 for an outdoor session I spent a lot of time trying to calibrate the autofocus at the 550 mm focal length in many different ways. The photos I got simply seemed so fuzzy to me that I suspected some front- or back-focus problems. There were no such problems after all and the impression of fuzziness was created by the huge contrast between the performance at 400 mm, excellent indeed, and quite average results you get when you employ the teleconverter. In order to balance my summary out and not to go over the top with carping I want to add that if you buy this lens for the 180-400 mm range you will be delighted because in e.g. sport photography it will perform brilliantly well. The 550 mm focal length will manage well too but only as a last resort. These photographers, however, who prefer longer focal lengths and want to use them in situations when you have to crop your images a bit (bird photography for example) in our view would really fare better if they bought a good quality prime. 1. First Impressions - Build Quality. 2. First Impressions - Physical Characteristics: Length and Weight. 3. First Impressions - Physical Characteristics: Balance. 4. First Impressions - Physical Characteristics: Tripod Foot. 5. First Impressions - Ergonomics. The 180-400mm has absolutely amazing edge-to-edge sharpness at all focal lengths when shooting distant subjects, even on the D850. Like...top-notch prime lens quality. I have NEVER seen a lens where the difference in sharpness (both in the center AND on the edges) between images shot with the aperture wide open vs. those shot after stopping down by 2/3 to a full stop is so trivial. In other words, this lens is very, very close to its maximum sharpness when shot absolutely wide open (and at ALL focal lengths). 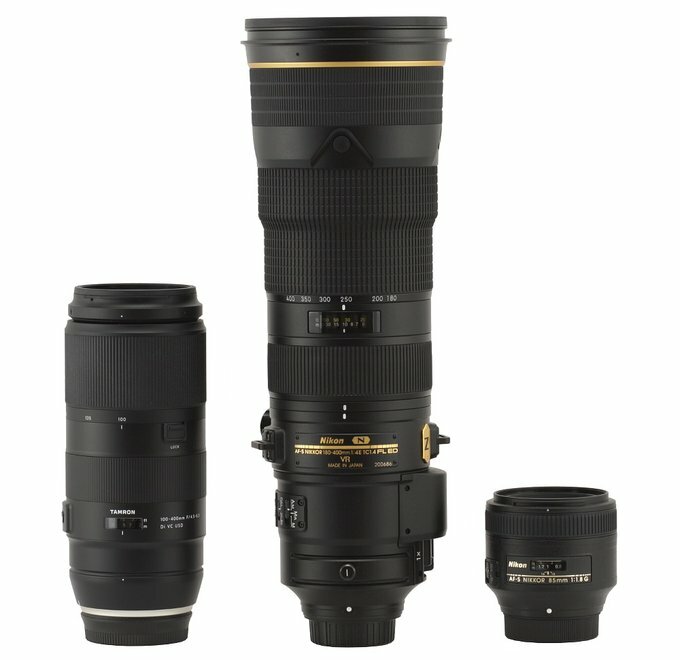 To some this may not sound like a big deal, but for someone like me (who shoots a lot in low light and is comparing the lens against top-notch primes like the Nikkor 400mm f2.8E) this is just HUGE. This entry was posted in Nikon Lenses and tagged Nikkor AF-S 180-400mm f/4 ED TC VR lens, Nikon Nikkor AF-S 180-400mm f/4 ED TC VR lens review. Bookmark the permalink. Trackbacks are closed, but you can post a comment.